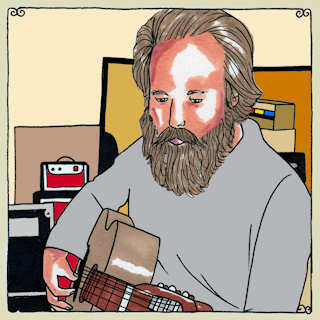 Iron & Wine will be performing live at Amoeba Music Hollywood on Monday, January 24th at 7PM PST in celebration of Kiss Each Other Clean. This show will also be streamed live at: http://bit.ly/gchV6Y for those who can’t be there! Fans can pre-purchase the new album starting at 5pm on 1/24 and receive a limited-edition Iron & Wine “Live at Amoeba” poster (while they last). Signing after the performance is limited to the first 100 purchasers.